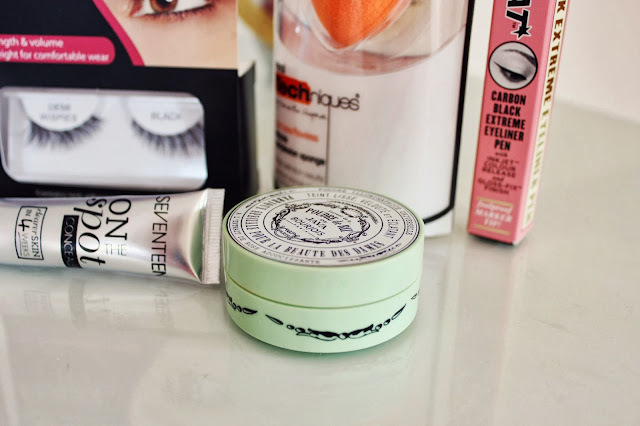 For the past few weeks I have been reading blog posts about new products and adding them to my wishlist, I haven't been makeup shopping in a while and was desperate to get my hands on a few things! 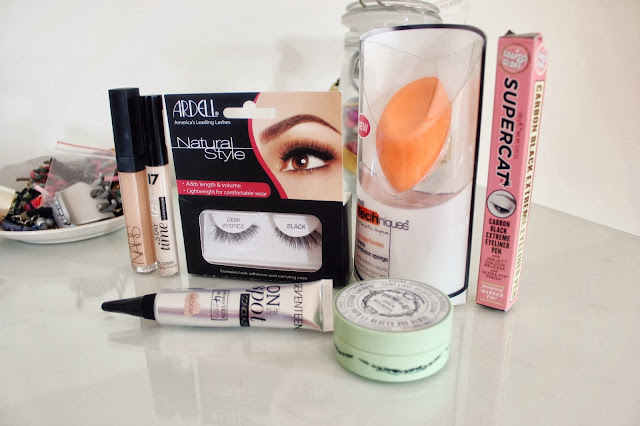 I went into Boots (and made one cheeky John Lewis purchase) and picked up a few new bits and pieces! From John Lewis I bought the Nars Radiant Creamy Concealer, as you can see in the photo it looks quite dark, I'm pretty sure I've bought the wrong shade even though everyone said it matched NC20 skins! I may have to go back and purchase a lighter shade as everyone seems to love it, it seems to be out of stock everywhere is the lighter shades! I also picked up two concealers from Boots, can you tell my skin has been bad lately? I've got concealer crazy! I bought the 17 Stay Time 18 Hour Concealer, I don't think I have ever tried anything from 17 before, I bought the shade Extra Fair. I then picked up the 17 On The Spot Concealer, it claims to give you better skin in 4 weeks so I will have to update you on that! I bought the shade Medium because it was the only shade they had, I think that's the downside of drugstore products! After reading so many great reviews I decided to buy the Bourjois Java Rice Powder, it is an illuminating loose powder which is apparently a "cult classic from 1879." I have been needing a new liquid liner for ages now, I tweeted and asked which ones people liked and L'oreal and Maybelline ones were recommended to me. However I just had to repurchase the Soap and Glory Supercat Liner, it is my favourite and is perfect for winged liner! For a while I have been trying to decide whether I needed the Real Techniques Complexion Sponge, I already own the Cosmopolitan dupe of the Beauty Blender and thought "do I really need another sponge?" But I just went for it, it's only £5.99 so I thought "what have I got to lose?" Finally I repurchased my favourite eyelashes, the Ardell Demi Wispies! 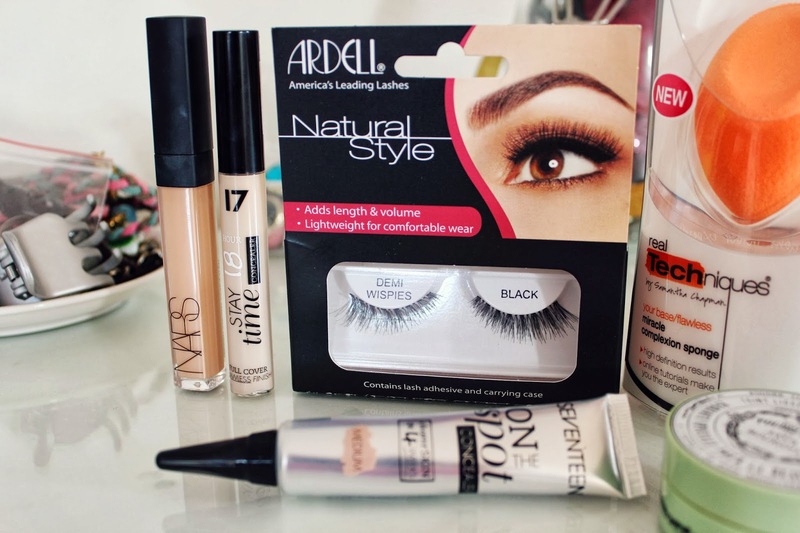 These are beautiful, they make your lashes look amazing but without being too over the top! I absolutely love your blog,such lovely pictures! Awesome haul. You definitely picked up some awesome stuff.